Added protection designed specifically for you and your Kia. Backed by Kia Canada and designed to make added protection easy, Kia ProtectTM has you covered. Whether you're buying or leasing, want to protect your budget from an unexpected breakdown in the future, or you simply want keep your car looking like new for longer, we've got a Kia Protect product for you. Breakdowns can be expensive and happen when you least expect them. Protect your Kia and your budget for years to come with Kia Protect Mechanical Breakdown Protection. Keeping your car looking as good as it runs can be a challenge. Kia Protect Appearance Protection is designed to keep your Kia looking as good as the day you got it. 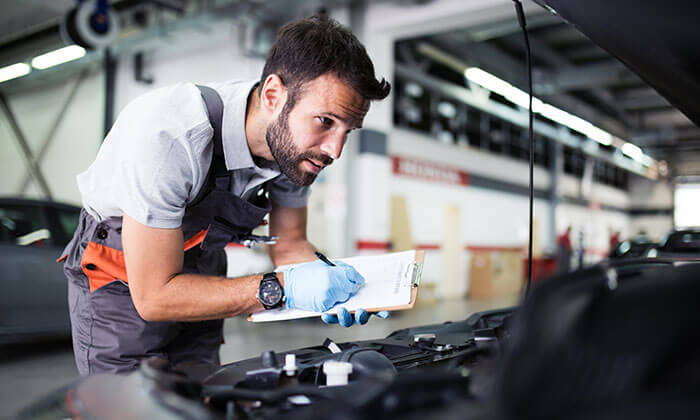 Kia Protect Service Advantage allows you to lock in the cost of future maintenance at today's prices, giving you peace of mind knowing that your essential maintenance needs are covered. Leasing your Kia should be a stress-free experience. Kia Protect Excess Wear and Use gives you the ultimate peace of mind by covering your vehicle's wear and tear costs at lease-end, so you don't have to. Smart consumers always have a back-up plan. Kia Protect Loan Protection is that back-up plan and will protect your financial commitments in the event of your death, illness, loss of employment or injury. Don't let losing your vehicle ruin your day, or your budget. Kia Protect Vehicle Loss Privilege Program provides an in-store credit in the event of a vehicle loss so you can get back into a Kia sooner than you think. Don't let unexpected repairs put a dent in your pocket. Kia Protect Mechanical Breakdown Protection offers various levels of coverage to suit your needs. Whether you want the basic components covered or just about everything, you can tailor a plan to fit your budget and coverage requirements. Kia Protect plans also come with Kia Canada Claim-Free Reward Benefit, 24-hour roadside assistance, trip interruption and car rental benefits, so you can get where you need to go. Nothing complicated here, your Kia must be within 10 model years and have less than 160,000 kilometers at time of purchase. We've had to draw the line somewhere and some accessory, maintenance related and cosmetic items are not covered. Talk to your nearest Kia dealer for a full list of exclusions and restrictions. Maintain that new car look for years to come. Kia Protect Appearance Protection provides interior and exterior coverage designed to take the worry out of life's little mishaps. Whether it's a door ding at the shopping centre, a windshield chip, or a coffee spill, with Appearance Protection you can tailor a plan to fit your budget and needs and keep your vehicle looking like new. Appearance Protection is available for all private use Kia models within 10 model years and less than 200,000 kilometres at time of purchase. Kia Protect Service Advantage is designed to suit all driving habits and maintenance requirements. From oil changes to tire rotations, simply choose how many service intervals you need and enjoy the flexibility to use them as slowly or as quickly as you need. Kia Protect Service Advantage is available on most new Kia models, within six months of original in-service date and less than 12,000 kilometres. Contact us to see if Service Advantage is right for you. Kia Protect Excess Wear and Use is designed to make your lease-end experience as stress-free as possible by waiving up to $3,500 of additional charges due to exterior dents, dings and scratches or interior rips, tears and burns. Excess Wear and Use will help you get your leased Kia looking as good as new in no time. Kia Protect Excess Wear and Use is available for all new Kia vehicles leased through Kia Motors Finance with 24,000 kilometres or less. Kia Protect Excess Wear and Use comes with some restrictions. 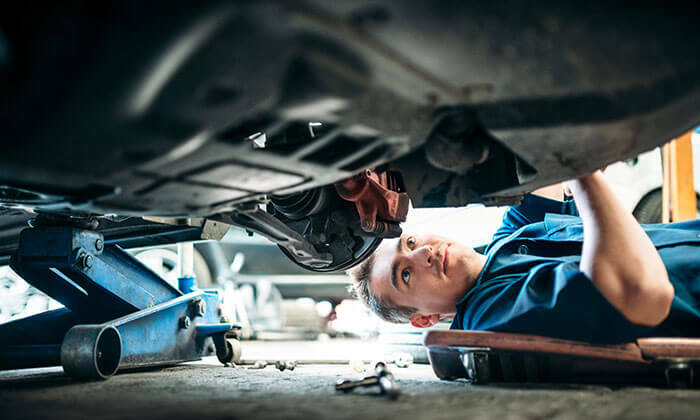 Excess Wear and Use does not repair vehicles or reimburse customers for the cost of repairs, mechanical/electrical breakdowns are not covered, nor are vehicles used for commercial purposes. For a full list of exclusions, contact your local Kia dealer. Contact us to see if Excess Wear and Use is right for you. Safeguard your credit and your loved ones. Kia Protect Loan Protection is a life, critical illness, loss of employment and disability benefits plan that protects your financial commitments when you need it most by taking care of your monthly vehicle finance payments in the event that you pass-away, suffer an illness*, are involuntarily unemployed or incur a disability**. *Restrictions apply. Contact your local Kia dealer for a full list of covered illnesses. **Restrictions apply. Contact your local Kia dealer for a full list of covered disabilities. 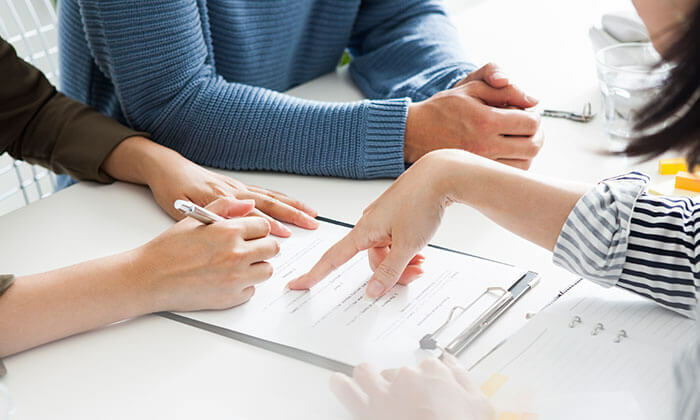 Tailor a comprehensive protection plan to suit your needs or choose from one of our four individual programs: Life Coverage; Critical Illness Coverage; Life and Loss of Employment; Disability Coverage. Age restrictions apply per program. Talk to your nearest Kia dealer for a full list of eligibility requirements. Contact us to see if Loan Protection is right for you. Getting into a replacement vehicle just got easier. 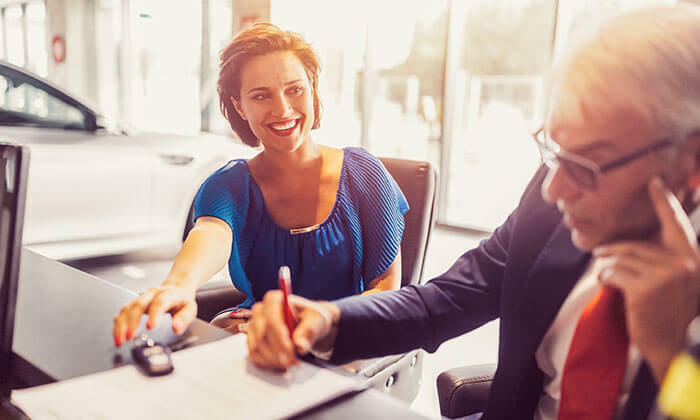 In the event of a vehicle loss, Kia Protect Vehicle Loss Privilege Program provides an in-store loyalty credit that can be redeemed at your selling dealer. Choose from four levels of coverage, depending on your needs. If your vehicle is declared a total loss, Negative Event Privilege allows you to redeem in-store credit towards a replacement vehicle. The credit amount will equal the deficit amount between your insurer payout and your remaining loan balance. If your vehicle is stolen or damaged and declared a total loss, Total Loss Event Privilege provides a fixed in-store loyalty credit towards a replacement vehicle purchase. If your vehicle is stolen and not recovered, Theft Event Privilege provides a fixed in-store loyalty credit towards a replacement vehicle purchase. 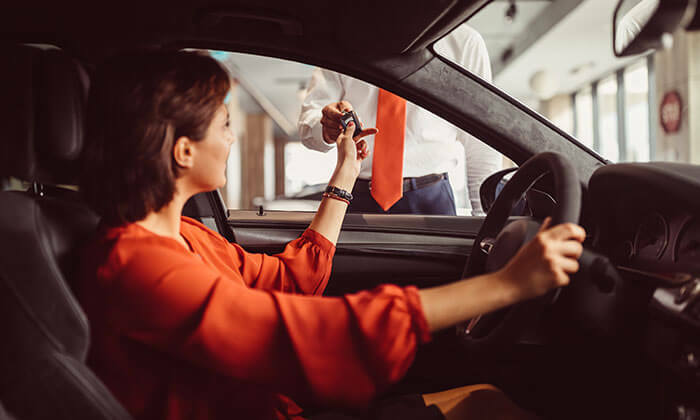 If your vehicle is damaged and repaired, resulting in a damage record on your vehicle's history report, Partial Loss Event Privilege provides you with a fixed in-store loyalty credit at the time of purchasing a replacement vehicle. Kia Protect Vehicle Loss Privilege Program must be purchased within 7 days of the delivery date on the vehicle. Contact us to see if Vehicle Loss Privilege Program is right for you.